Today the postman brought me two superb surprise packages sent by friends. One is a CD from the USA which I'd never heard of before - Old-Time Smoky Mountain Music; 34 historic songs, ballads and instrumentals, issued by the Great Smoky Mountains Association. They were all recorded by Joseph S Hall in 1939 as he tramped his way through the hills and hollers of Appalachia. Along with it came a big box, about the size of two old phone books, this time sent from Scotland by a man I got to know last year. It was jam-packed with booklets, leaflets, 45 rpm records, tracts, and about a dozen CDs all carefully home-digitised from long-lost 78s and cassettes from generations ago! It'll take me weeks to go through it all. Both are gold mines of authentic, rooted culture. Both have linguistic merit too, with distinctive vocabulary and phrases set within their natural cultural contexts of Scotland and Tennessee. No auto-tuners, no 'ProTools' audio software, no contrivances or self-conscious promotion by the musicians and singers - just the refreshingly real thing, with warts and all. Magnificent. Which all then led into to a phone conversation I had this afternoon with a fiddle player who had been asked to tidy himself up and go to a studio to be filmed for tv show that's recording next week. He chased them and said they could come to him and film him at his usual wee rural venues, but he wasn't going to polish himself up and go to them! Which begs the question, why do people feel the need to invent a stage culture and ignore the real stuff? So, slow blogging for the next while as I work my way through all of these! There are four well-known ancestral homes of American Presidents in Northern Ireland (see here for the list). I'm told that there are others, off the beaten-track, not on the tourist maps, but well known to locals in specific places. Some folk I know from north Antrim told me a while ago about the ancestral home of President William McKinley (1843-1901), the 25th President of the United States, at Conagher near Ballymoney. I have a postcard of it, a classic Ulster long low cottage with thatched roof and some outbuildings. The sketch of it shown here was scanned from an old book. It's a place that American tourists still visit. However, you can't visit this particular ancestral cottage. Why? Because it was dismantled in the mid 1990s and has been in storage ever since. Maybe one day it can be rebuilt. • Intriguingly, the contents of the cottage were removed in 1908 and became part of a reconstructed exhibition village in London, called 'Ballymaclinton'. 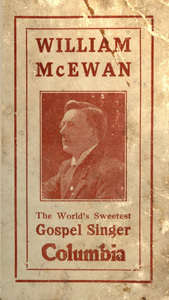 It was created by McClinton's Soap Company from County Tyrone. You can read more about Ballymaclinton here. From this illustration, and plenty of others than Google will exhume for you, Ballymaclinton looks like it was the most artificial pastiche imaginable! Get that man to the Belfast Festival! (after all, it was written by Joseph Scriven from Banbridge, who has a memorial in the grounds of Banbridge District Council offices). Great news being reported on the Herald Scotland website here. Kintyre Express II is due to start in May of this year, with the 90 minute trip from Ballycastle to Campbeltown being priced at £55 return. Hopefully the service will be around for longer than previous ones have. I was round at a fiddle-playing friend's house this evening. He tipped me off about this programme on BBC Four which he'd recorded on Sky + . It'll be an eye-opener for many of you as it touches on post-Partition Ireland of the 1920s, which the programme calls a 'pseudo-Gaelic society' and the nationalism, religion and politics of the time, and how these defined what came to be understood as 'Irish music'. The programme's interviews include stories of an urban élite who were dismissive of the authentic rural stuff and who chose instead to tell rural folk how it was going to be. There are still big lessons to be learned from the mistakes that were made south of the border... and perhaps similar mistakes were made on our side of the border. In our case by a Unionist establishment who were preoccupied by political Britishness, at the expense of cultural Ulsterness? Terrorist campaigns and (at best disinterested) 'Direct Rule" British governments made matters worse. Really interesting programme and plenty of food for thought. The five of us stopped en route into Belfast a few weeks ago to see his wardrobe monument at the Holywood Arches; and I've blogged about him before. I find some of his work brilliant, and some a bit woolly. This article on The Huffington Post is worth a read. Here's a pic of a 1917 Gibson mandobass. Or else here's a photo of a very wee man. From Buffalo Brothers. This time it's the Bruces, whose role in Ulster history was acknowledged by none other than the globally-renowned National Geographic magazine in 1935. "... a leisurely 40 minute drive over rolling country, too often hid from view by impenetrable thorn hedging, brought us to the busy little seaport of Larne. It was here Edward Bruce landed in 1315, having been sent over from Scotland by his brother Robert, who was to follow later. All through the preceding century the English had filtered into Ulster. Counties Down and Antrim were fairly in their grasp. Counties Londonderry, Armagh and Tyrone were raided, but it is doubtful that they penetrated Fermanagh. ... for Northern Ireland is close to Great Britain, especially to Scotland, which has an important bearing when the type and temperament of many of its inhabitants are considered..."
• from The Mist and Sunshine of Ulster by Bernard F Rogers Jr, in The National Geographic Magazine, November 1935. Some of the photographs in it are brilliant - you can pick up a copy fairly cheaply on eBay. Seeing as today is a Green Day (I know, terrible pun)... here's one of their songs, but played by the legendary Glen Campbell and his band. Late afoot and sorrowing for the Yellow-haired clan..."
We can turn our noses up at the writing style, but what this shows is mainstream awareness of the story of Con O'Neill and Hugh Montgomery back in 1950 when the book was published. My parents were just 5 years old when this came out. Their generation, and mine, are still mostly clueless about this origin story of the first Lowland Scottish settlement in Ulster. And just like O'Neill's "grey old home" itself, how much understanding has been demolished or lost over the past two generations? Of course a phrase like that would make me sit up! So begins this article about Bifrost Arts. A lot of the article really rings true for me, but of course they're all accomplished musicians whereas Graeme and I are just plooterin' aboot. But when someone thinks the same way you do yourself, it draws you in. I hadn't heard of Bifrost until a few weeks ago, but I like what I've seen so far: "...we’d play hymns — unmiked — and pass out songbooks and teach the audience how to sing harmonies. It’s crazy, but the idea of people really getting together to sing has become a novel concept in today’s society... there’s an instant community that forms when people join their voices together...”. Much like what Red Mountain Music are doing, Bifrost eschews schmaltzy, stage-based, spectated, commercial 'gospel' music. It's about community, about being together, about being involved. The video below will tell you more. Their website is here. Bifrost Arts from josh franer on Vimeo. Two new DVDS (click photo left to enlarge) tell the fascinating story of Amy Carmichael. Like so many of Ulster's heroes and heroines, Amy is better known around the world than she is here in the land of her birth. Yet her inspiring example, of a life devoted to liberating young woman and children from lives of exploitation, poverty and prostitution rings, have made her a beacon of justice around the world. Her books have sold millions of copies around the world and have been translated into many languages. • 'Amy Carmichael – Mother to the Motherless' is a one hour documentary film produced by the Christian History Institute (USA). 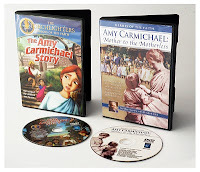 • 'The Amy Carmichael Story' is a 30 minute animation for children and young people, and is also produced by the Christian History Institute (USA). It is the latest in their best selling 'Torchlighters' series; previous releases have included animations of the lives of John Bunyan, William Tyndale and Richard Wurmbrand. ~ Amy's Ulster-Scots Presbyterian Roots. Amy Carmichael (1867-1951) is renowned as one of the outstanding Christian missionaries and social reformers of the late 19th and early 20th centuries. Born in Millisle, County Down, Amy was the eldest of David and Catherine Carmichael's seven children (four boys and three girls). The Carmichael family originated in Ayrshire and had settled in Ulster in the late 1600s. They were canny Presbyterians and a shrewd business family – they operated lucrative flour mills in Millisle for over one hundred years. In later life Amy wrote about her childhood in Millisle, and her Covenanter ancestors. A theme of her childhood was that she wished she had blue eyes, rather than brown. However, her brown eyes would be critical to her later successes. The family relocated to industrial Belfast. On a Sunday morning in Ormeau Avenue, Amy was among crowds of well-dressed churchgoers when she seeing an old beggar woman, beside the famous water fountain, being ignored by all around. Amy took compassion on the woman, and so began a life of service to the oppressed. So in 1889, along with her friend Kate Mitchell, Amy founded the Welcome Hall, on Cambrai Street, an outreach ministry to the local girls who worked in the linen mills within the north Belfast area. Her message of invitation was 'Come One, Come All to the Welcome Hall – and Come in Your Working Clothes!'. ~ From Belfast to England, Japan and India. Amy's fame spread and she became the founding Secretary of the Keswick Convention, one of the most famous and influential Christian events of the time. This introduced her to many missionaries, and she felt led to follow in their footsteps. She spent a brief period of overseas missionary work in Japan and Sri Lanka. In 1895 Amy left for India, where she spent the rest of her life. She is remembered for her heroic work in the Dohnavur area of the southern Indian state of Tamil Nadu. Heavily disguised in traditional dress, with only her brown eyes visible, she was able to infiltrate the religious temples where young girls were being held as prostitutes. She rescued them from lives of slavery and established an orphanage, known as the Dohnavur fellowship which still exists to this day. Amy never returned to Ulster, but chose to devote over fifty years of her life serving the children of India where she died in 1951. Also a gifted writer, Amy penned thirty seven books, thirteen of which were written during a twenty year period when due to a serious accident Amy was left virtually bed ridden. Many of those books are still in publication today and have proved to be a source of blessing and encouragement to readers world wide. Both DVDs can be purchased at any local Christian bookshops and also bought online at www.welcomechurch.org at £11.99 each plus postage and packing. If you would like to find out more about Amy, and visit some of the places which were so influential in her life, why not try the new Amy Carmichael Tour? Pastor Jonathan Clarke at the Welcome Evangelical Church in Cambrai Street, Belfast (which Amy founded) is developing this for interested individuals and church groups. He can be contacted at the church office on 028 9029 4109 , by mobile 07817 543085 or via the church website. Not very touchy-feely PC language that now is it? Probably because it's about 500 years old. “I must hearken to the gospel, which teacheth me, not what I ought to do, (for that is the proper office of the law,) but what Jesus Christ the Son of God hath done for me : to wit, that He suffered and died to deliver me from sin and death. The gospel willeth me to receive this, and to believe it. And this is the truth of the gospel. It is also the principal article of all Christian doctrine, wherein the knowledge of all godliness consisteth. The above quote, and the graphic below, has been unashamedly copied from this blog. Have a look at this YouTube video by the same man. Great stuff. Thanks yet again to Robin for the tip-off. Richard MacMaster's latest book 'Scotch-Irish Merchants in Colonial America' is a great read, and details how flax seed was imported from America (a trade which seems to have begun around 1705 when import laws were passed by government), and how people emigrated on the same ships. This was also something that Senator James Webb's recent two part tv series 'Born Fighting' touched on. My good friend Mark Anderson sent me the image below from one of his recent forays in a local library. It comes from the Newtownards Chronicle in 1916. A beautiful image! Interesting that even as World War 1 raged through continental Europe, Holland was still capable of growing and exporting goods. • A previous post about the Ulster linen industry's impact upon the Argentinian sugar industry, through the hard work and vision of two Ballymena brothers, can be read here. 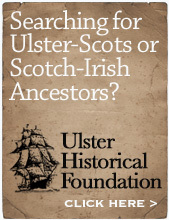 One of the real paradoxes of Ulster-Scots heritage is how it can be both hyperlocal yet international. Around 1862 he made a missionary trip to Ireland, arriving first at Drogheda before heading north. "...when I was in Belfast, a Primitive minister waited on me to say, 'There are some good people in this city who are greatly prejudiced against a beard, and I think you can be more useful among them if you will go to a barber and get shaved'. You can read his detailed retort on p344 for yourself - humourous but too long to type!. • from Story of My Life: An Account of what I have said and done in my Ministry, William Taylor (1895). Some of you will have noticed that I now, occasionally, 'tweet', but I must admit I still don't really see the benefit of it. I set up my Twitter account because other folk encouraged me to (otherwise it would probably never have happened). There are those who blame Twitter, and things like txt-spk, for accelerating the plummeting standards of literacy. I was told today by a client that 80% of the adults in the world either can't read, or can't be bothered to read. So taking a message of any kind to the general public is going to get tougher as years go by - a public used to screens and brevity rather than paper and detail. The pic below is the cover of a book published in 1896, 'Bunyan's Pilgrim's Progress in words of one syllable'. The irony here is that Bunyan is generally known for his simplicity of language, yet the publishers of this book needed to simplify it even further. The book doesn't say who it was aimed at - children, or adults who struggled with literacy - but it's a valuable example that, regardless of what century we live in, communication needs to be clear and easy to understand. Billy Graham's grandson, Tullian Tchividjian, does a great job on Twitter, distilling the essence of the Gospel down to 140 characters or less. Click here to see for yourself. Interestingly, and as a paradox to the rest of this post, I've been surprised by the amount of secular, mainstream media admiration for the rich, yet archaic, language of the King James Bible which has already appeared across the media this year. I like the KJV as I was raised on it, and memorised a fair bit of it when I was wee. But I thought it was going to take a hammering this year, rather than be praised! In its heyday, the Ulster coat was a global bestseller, designed for endurance and protection from the elements. It was said that a man could sleep all night in a ditch in one of these and he'd stay dry. Superdry? Yes, made in Ulster over a century ago. I love maps. When I was a wee lad I was very frustrated that the hardback atlas my parents bought me had a different country on every page, and the overview of each continent was tiny (having been squeezed onto one page). So I begged my mother to buy packet after packet of greaseproof paper sheets from Frankie Caughey's shop in Ballyhalbert. I then set about tracing each country very carefully, marking the main cities. I went through loads of pencils, and there were sharpenings in my bedroom carpet fibres for years afterwards. When I had completed Europe, feeling all pleased with myself, I tried to join the countries all up on the bedroom wall. I was devastated to find that the atlas had printed them all at different scales! The two maps below date from the late 1500s / early 1600s, the era when Britain sailed West, first to Ulster and then to Virginia. Unsurprisingly, the cartographic style is similar - two distant frontiers, far from civilisation! 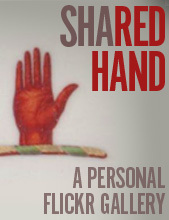 To find out more about the historic connections between the two places, visit UlsterVirginia.com.